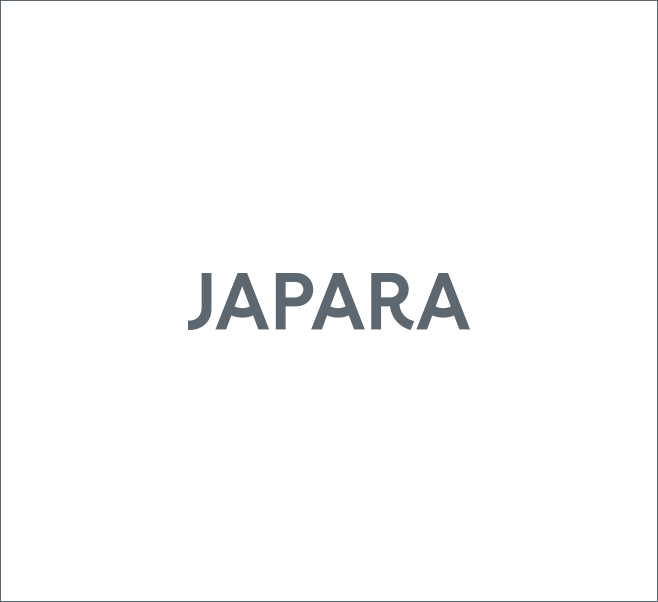 Japara Gympie’s new hairdressing salon is open for business! 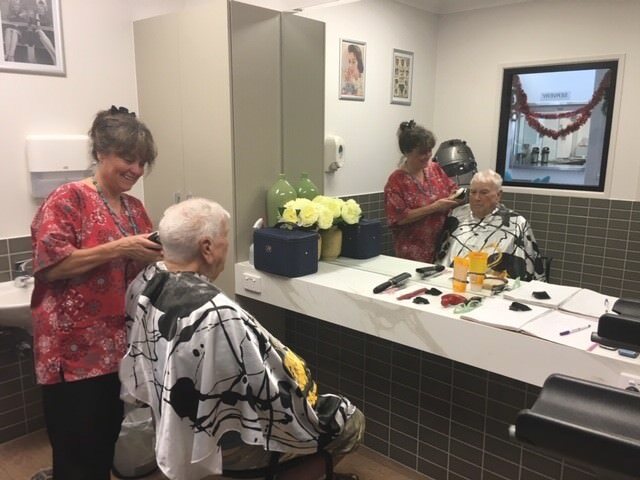 Mr Eric McClintock was the first resident to try it out with a haircut from hairdresser Jenny Goodluck. 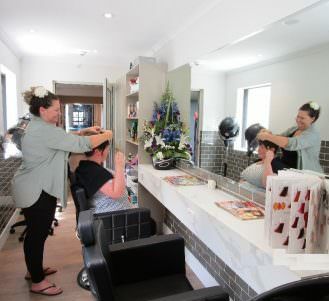 The salon is part of a refurbishment project to improve key areas of the home. Some of the biggest changes are happening in the Lister area, where the majority of shared accommodation is being replaced with single rooms and private ensuites. A brand new sitting area with café facilities will create a place for residents to enjoy socialising together or catching up with visiting family and friends, and a new sensory room will support residents who are living with dementia.